At least 24 people were killed and around 150 wounded on Friday as Libyan army soldiers believed to be loyal to a rogue general clashed with Islamist militants in the eastern city of Benghazi, medical sources said. The toll was compiled from four hospitals in and around Benghazi, where forces loyal to former rebel chief, retired general Khalifa Haftar, fought pitched battles with Islamists, according to Reuters. It is the first time that national army units backed by war planes have attacked Islamist militias with no apparent orders from the Libya's central government, Associated Press reported. Fighter jets and helicopters, under the command of Gen. Khalifa Hifter, a former rebel chief in the 2011 uprising that toppled Muammar Qaddafi, flew over Benghazi, the sources said. On the ground, Hifter's troops besieged the bases of the Rafallah al-Sahati, which is led by an Islamist commander, and a militia known as February 17, the officials said. Hifter's forces fired missiles at February 17's base in the attack, the officials added. The former spokesman of the joint security committee of Benghazi, Mohammed al-Hegazi, told Libyan television station Al-Ahrar that some military units joined Hifter and his forces in their fight against the Islamist militia. He said the operation, called the “Dignity of Libya,” include air forces and special forces. Al-Hegazi said Hifter's forces now controlled the two militia bases. The clashes wounded nine people and killed a colonel in front of his house, health officials in two local hospitals said. Libyan Prime minister-designate Abdullah al-Thini appeared on TV condemning terrorism but warning against any military action outside the government’s control. “There is no place for terrorism in Libya, but any military action without clear government orders is illegitimate,” al-Thini told a news conference in Tripoli. 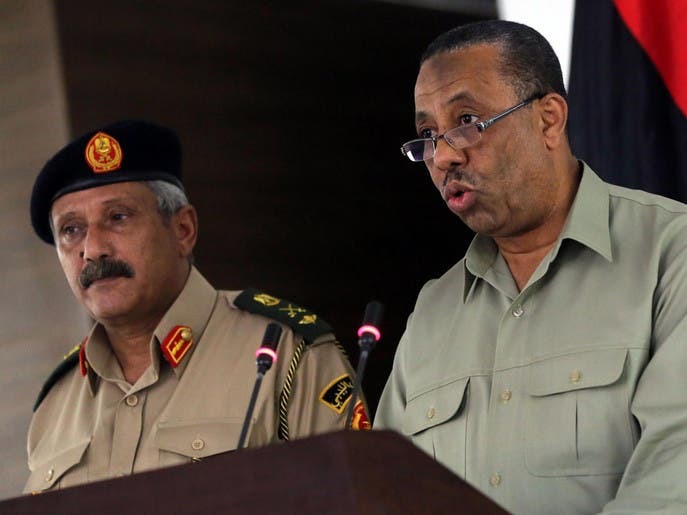 Libya's Chief of Staff, Maj. Gen. Abdel-Salam Gadallah, speaking from the capital, Tripoli, on state television, said the attacking forces were under Hifter's control. However, he did not address claims that federal forces fought on Hifter's side, Associated Press reported. Gadallah said he will ban any forces from entering Benghazi to join Hifter, without elaborating. Militias grew in number and power, ousted longtime dictator Moammar Gadhafi in 2011, taking advantage of Libya's weak and disarrayed military and police. Friday's assault marks the first time that army units have fought unilaterally and joined forces with Hifter, who once headed the army under Gadhafi but defected in the 1980s. After Gadhafi's ouster, he was assigned to help rebuild the forces, but he was removed soon after. In the video, he said the military intended to “rescue” the nation with a five-point plan that involved suspending parliament and the government and replacing them with a presidential committee and a defense council, which he would head. 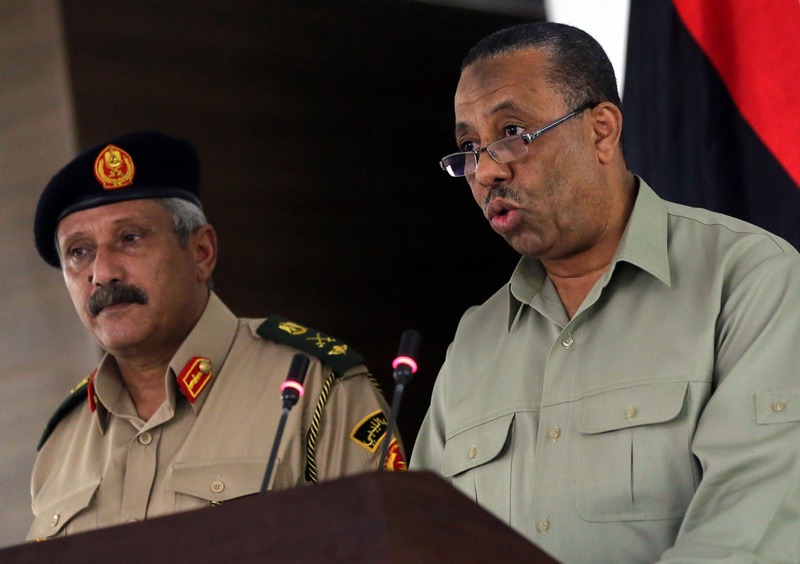 Libya's government viewed Hifter's statement as a coup attempt. 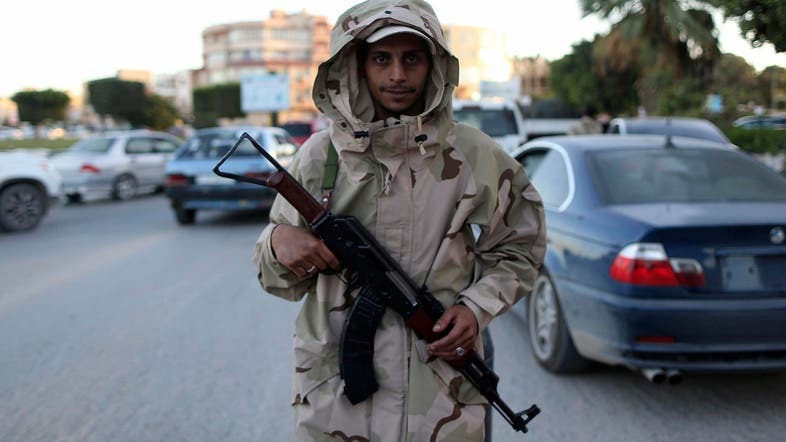 After the clashes Friday, Libyan state television said the eastern and western gates of Benghazi were closed. Benghazi and Tripoli residents have tried more than once to stage large demonstrations against the militias, blaming them for violence and denouncing Libya's continuing insecurity. Such protests have led to violence in the past.